Way off topic but I want to share a little love for my favorite book of all time. 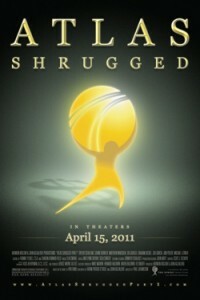 Part 1 of the Atlas Shrugged movie premiering April 15th, 2011. Visit the Official Atlas Shrugged Movie Web Site! Atlas Shrugged Part 1 movie poster.